Have you ever wondered why we ask for snack bags? – Forgotten Soldiers Outreach – Non-Profit shipping encouragement to USA Military Servicemen and Women. 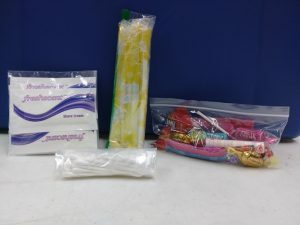 The reason we ask for them is because we use them to repackage q-tips, make candy bags, make tampon bags and shaving cream bags. This makes room for the other items that we send in our “We Care” Packages. So if you are out and about and would like to donate something to us….this is what we are in need of. 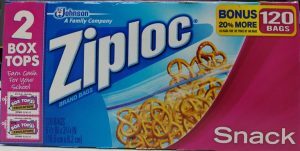 Any and all donations of Ziploc Snack Bags are appreciated.